Those who have the misfortune of dealing with roaches are left with more questions than answers. What do American cockroaches look like? What do they eat? Why are they attracted to my home? How can I get rid of them and prevent them from returning? Get answers to those questions and more, by clicking here. 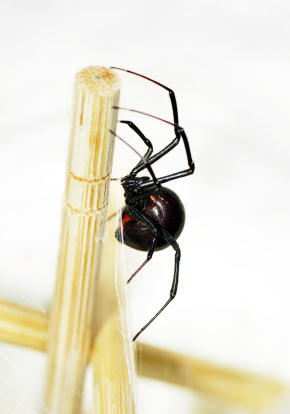 For various reasons, a variety of spiders begin turning up in homes and offices in increasing numbers during the fall. For the most part, it’s the same reason that you go inside: to stay out of the cold. Learn more about how to stop this behavior, so you can enjoy your home, by clicking here. 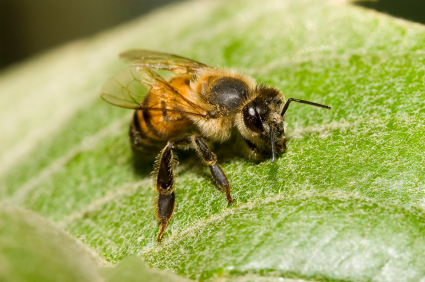 What most people refer to as â€œkiller bees,â€ are technically called Africanized Honeybees. These aggressive bees are hybrids of the African honeybee and the European honeybee, and were unintentionally bred through scientific research at the University of SÃ£o Paulo in the late 1950’s. Then the worst happenedâ€¦ a few got loose in the Brazilian tropics, and have been migrating north ever since. One of the scariest features of the Africanized â€œkillerâ€ bee is their aggressive behavior. Additionally, you cannot visually tell the difference between the killer bee and the common European honey bee. They look the same, and spend their time pollinating flowers, crops, and producing honey. In fact, the only way to tell the difference between these bees, other than their aggressive swarming behavior, is through molecular analysis. The Africanized honeybee is extremely hostile. This behavior is what gives these bees their infamous â€œkillerâ€ reputation. Unlike standard honeybees, Africanized killer bees are effortlessly agitated and aggressive when disturbed. They will chase everything they estimate to be hazardous to their colony, and can continue to be agitated for up to 24 hours. This behavior leads to many Africanized killer bee attacks every year in the United States; some of which have even lead to death in both humans and animals. Both look dang scary to me… I hate spiders and bees. They are just so creepy. And these Africanized bees, never heard the name before. I always called them killer bees. Anyways, thanks for information, I appreciate it.